The Bessie Minor Swift Foundation announced recently it is accepting grant applications from nonprofit organizations in Truckee, North Lake Tahoe, Incline Village and surrounding area. More than $374,000 in grants has been awarded since 2008. The Foundation prefers to consider grants for programs instead of grants strictly for technology. The Foundation also prefers to award grants to organizations that do not have access to large fundraising budgets and are local in nature. Grants are made only to nonprofit organizations certified as tax exempt. More information is available on the website. 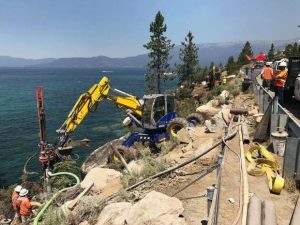 The Bessie Minor Swift Foundation was formed by the owners and founder of Swift Communications, which owns and operates the Sierra Sun, North Lake Tahoe Bonanza, Tahoe Magazine and http://www.sierrasun.com. Phil recalls that the importance of education was reinforced throughout his upbringing not so much through statements or concrete expectations, but more through the example of his mother’s interest in English, reading, history and music. Nonprofit organizations in the area are encouraged to apply. Visit bessieminorswift.org to learn more.